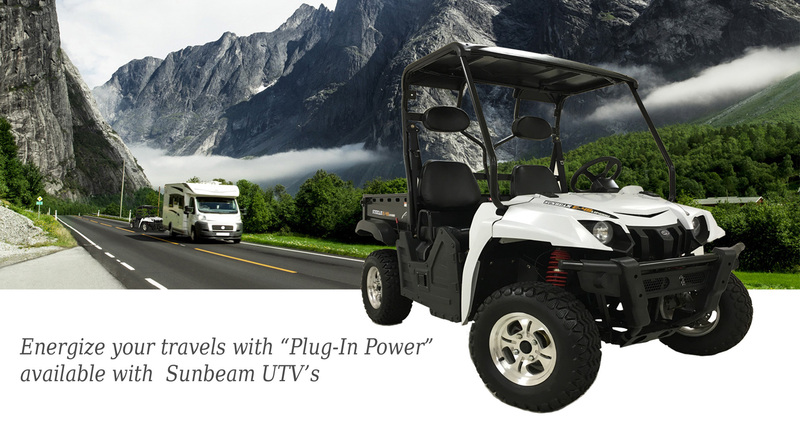 Sunbeam® QuadFuel™ UTV’s are equipped with on-board GenPacs which produce reliable 110v, and 220v Electrical Service, providing “plug-in power” for your campsite, camper, business or RV! Sunbeam® GenPac Electric Generators can also run on your choice of fuel, gasoline, or clean air Propane, and Natural Gas. 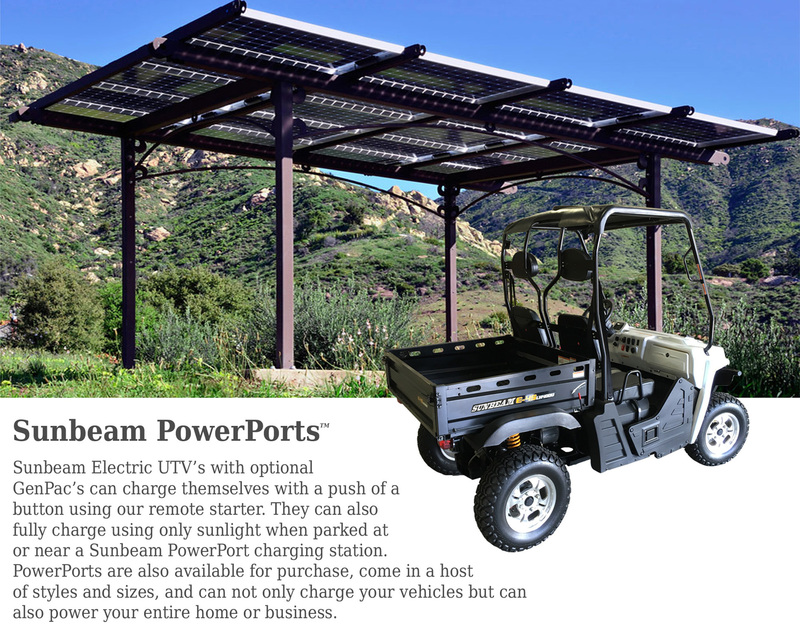 Live and Travel the World, Literally Powered By Sunbeam™ ! 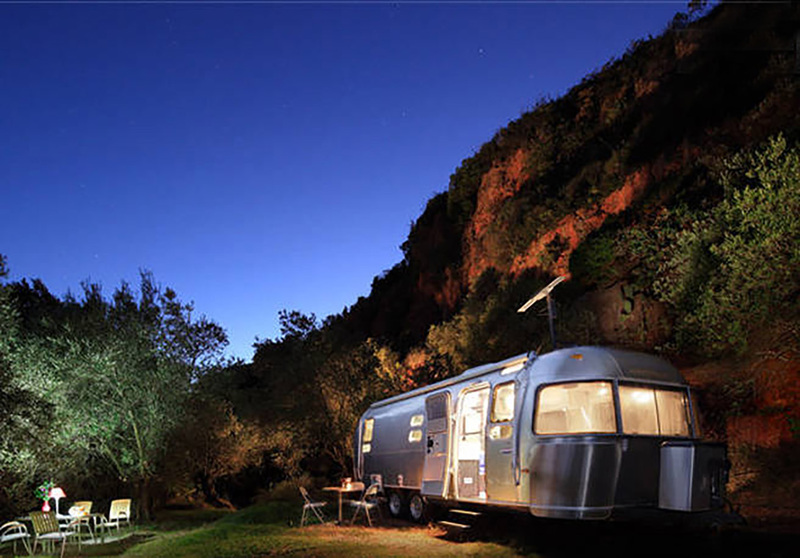 See an authorized Sunbeam Dealer for details. Sunbeam GenPacs, QuadFuel, PowerPorts, and “Powered by Sunbeam” are trademarks of Sunbeam North America. All Rights Reserved. Sunbeam® offers a host of optional equipment allowing you to customize your vehicle tailored to your needs. Our tilting cargo bed can also provide additional and removable seating. 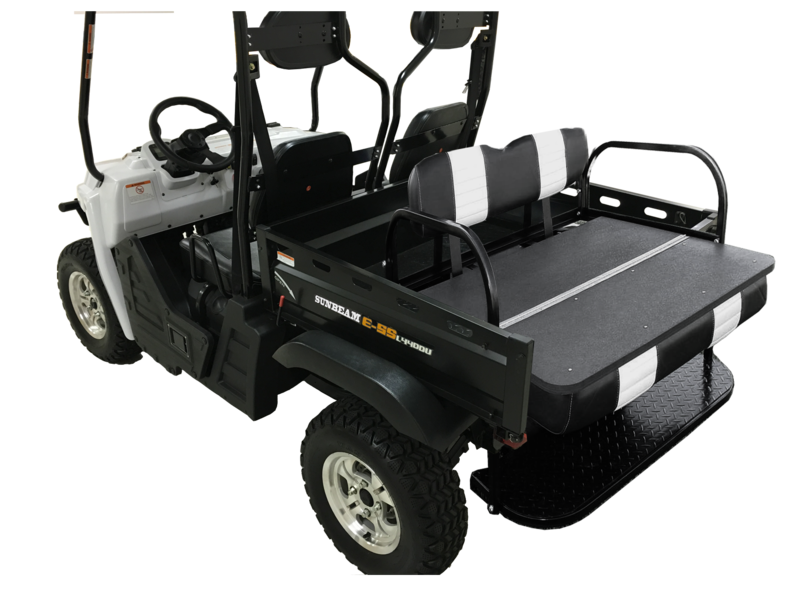 The optional rear bench can also fold out and be used as additional “Flat-Bed” carrying space. Please visit your nearest Sunbeam® Dealer for additional options and details.